I am a problem solver who likes to iterate, collaborate and build. Currently working as a Product Designer at Yelp. Previously I worked for 1stdibs, Cablevision and have my Masters in Interaction Design. 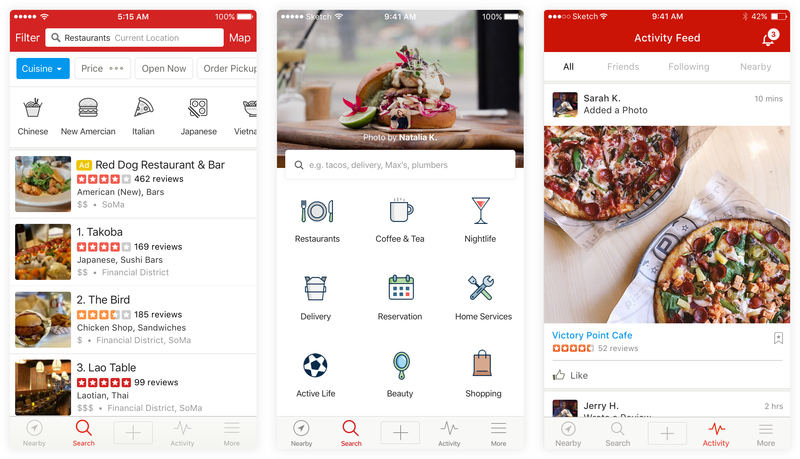 Since May of 2014, I have been working as a Product Designer at Yelp. I am currently the lead designer on the Search Team. Our main goal is to help people find and interact with great local businesses. This includes working on the search results, search suggestions, filters, map, transitions and actions on ios, android, and the web. From Aug, 2012 to Oct, 2013 I worked as an Interaction Designer at 1stdibs. I built consumer facing experiences and backend dealer-facing tools. A community for dog owners to talk, meet up and get to know their neighbors. From 2013 to 2015, while getting my MFA in Interaction Design, I created a collar-based wearable for dogs to allows owners to discover, learn and connect with other dogs in their community. During the month of March I decided to increase my knowledge of After Effects and animation. I created 20 animations with each one learning something new. I am constantly working on my craft through side projects and freelance work.